As a small business in a small town, we understand the importance of giving back to our local community. And we continually look for opportunities to do this in a meaningful way. 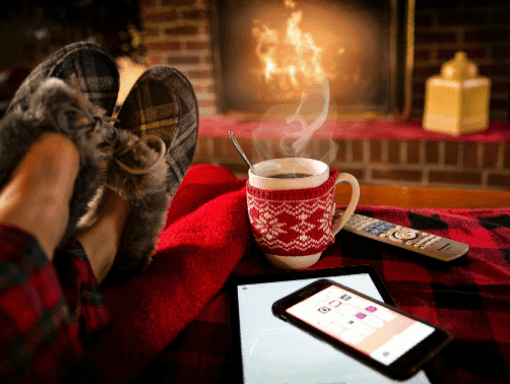 Whether its donating our chimney services to a family in need or helping raise funds for a local nonprofit, supporting the community is our way of saying thank you to our clients, fellow local business-owners, and the greater Randolph area. Check out some of the ways we give back below. Giving Tuesday is a global day of giving back to your community and the charities you care about most. Last year Chimney Savers decided to join the movement. We teamed up with Gifford Health Care as part of their annual Giving Tuesday employee food drive for the Randolph Area Food Shelf. We promised to match one dollar for every pound of food their employees collected. The result? 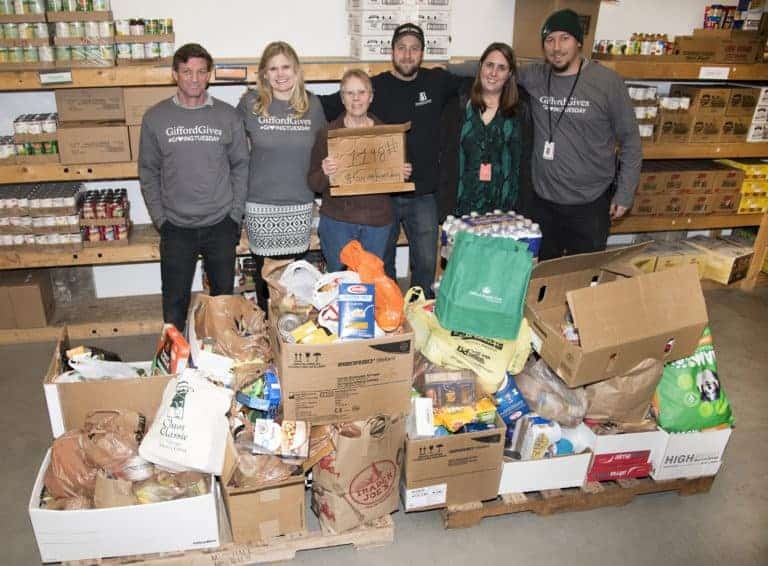 A whooping 1,198 pounds of food donated and matching funds to support the Food Shelf. Whether it’s donating our chimney services to a family in need or helping raise funds for a local nonprofit, supporting the community is our way of saying thank you to our clients, fellow local business-owners, and the greater Randolph area. 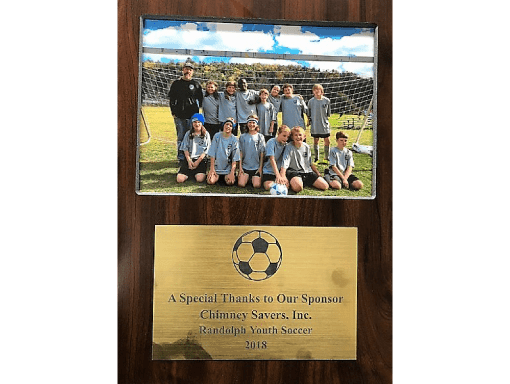 At Chimney Savers, we believe in working hard and playing hard. 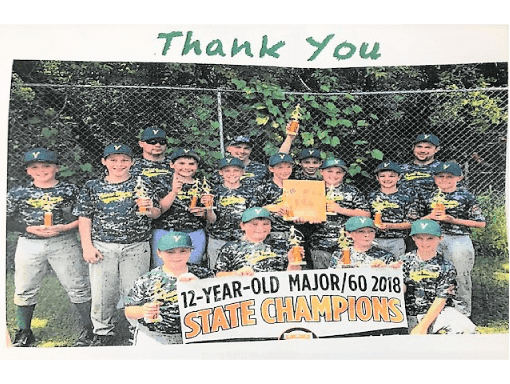 Youth sports are not only great for the physical health benefits, they allow kids to start building up skills in teamwork, communication, and sportsmanship – life skills that extend beyond the playing field and into schools, jobs, and communities. 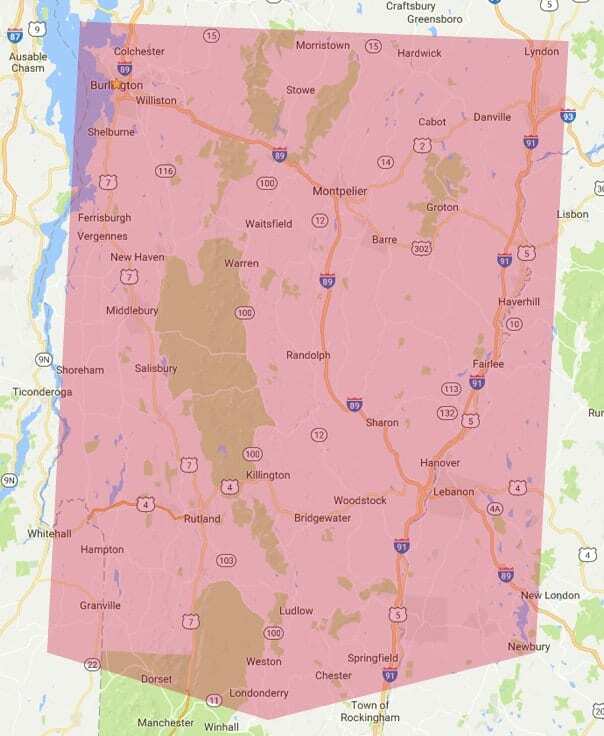 We’re proud to support two local sports teams this past year: Randolph Youth Soccer and Central Vermont All Stars. Great job!